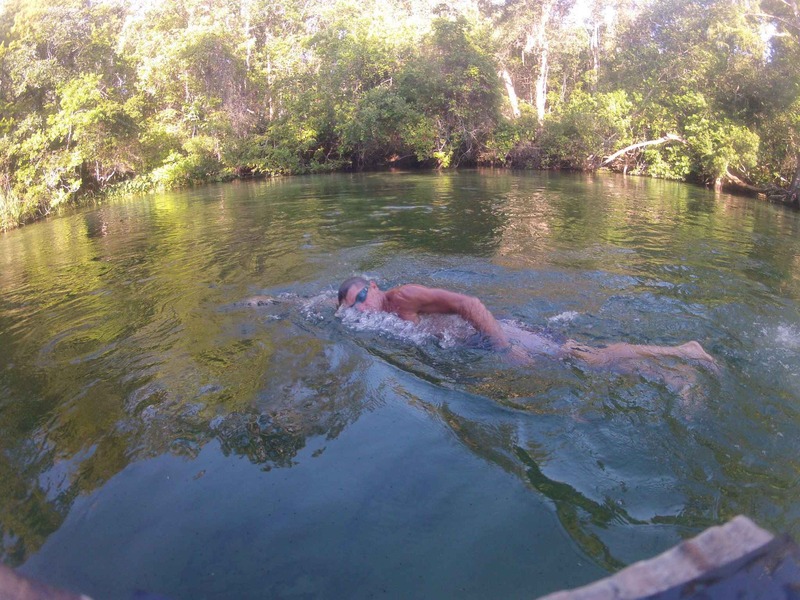 WEEKI WACHEE – Ten minutes after leaving the dock, we had gone back in time. 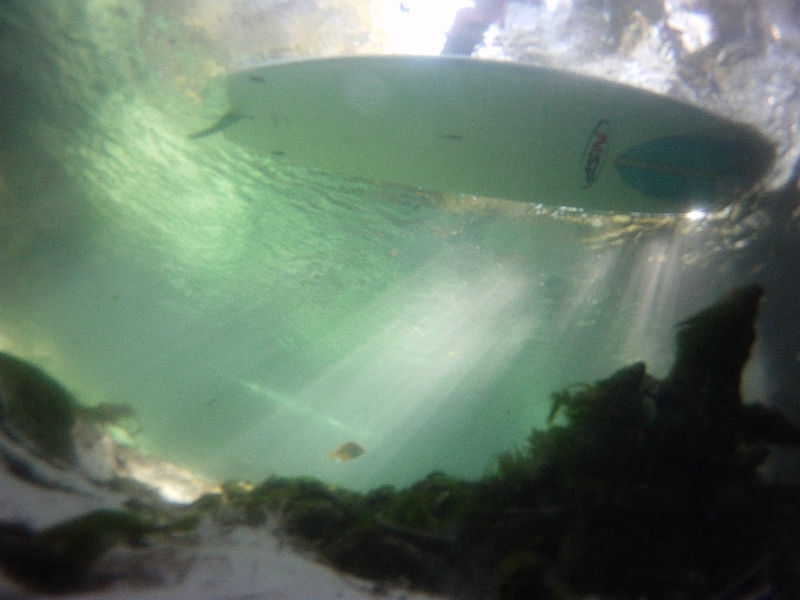 Traveling up the twisting, turning Weeki Wachee River, battling a strong downward current on stand-up paddleboards, our view was not unlike that of the Seminole Indians who dubbed the river “Weeki Wachee” (windy river). The river, relatively low this time of year, is rarely more than 50 feet wide and in most parts bracketed by hardwood canopies. The water alternates between green and teal and always clear enough to see the sandy bottom, to say nothing of turtles, countless fish, and the occasional manatee. For most of our three-hour journey, between 8 and 11 a.m. on Wednesday morning, we see nobody. The few homes along the five-mile route are hidden far beyond the foliage. It’s a natural, tropical setting that seems like it belongs in the Caribbean or a South American rain forest rather than an hour northwest of downtown Tampa. Last year Napp and his wife Pam discovered both SUP and “the Weeki,” selling their longtime home in Tarpon Springs and moving a half hour north. While keeping their day jobs – he has worked in the fitness industry for more than 30 years – they launched Sup Weeki off the back dock of their new home. Most Tampa Bay residents are familiar with Weeki Wachee Springs State Park, which since 1947 has featured a mermaid show, drawing tourists to the attraction at the corner of US 19 and State Road 50, just north of Spring Hill. Some check out the adjacent Buccaneer Bay water park with its pools and water slides. Others launch canoes and kayaks and float four-plus miles down the Weeki. Napp, an avid runner and triathlete who I swam with for three years as part of a masters swim program, is happy to meet clients at the park and launch stand-up paddleboards headed downriver. 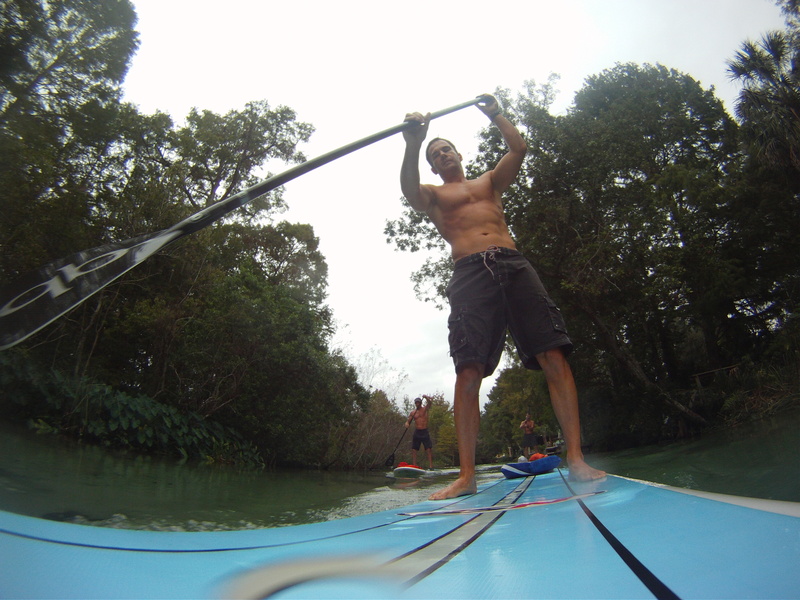 SUP is still new enough that few have enjoyed that experience. But he figured endurance nuts like me would prefer to paddle upriver. He was right, though I had second thoughts at first. After paddling a quarter-mile along a canal from Napp’s home past trailers and tear-downs that are being replaced by newer homes, we turned left into a tough current. It felt like one of those snorkel swim drills we used to do where we were tethered to a starting block and required to swim in place. We were looking at two hours of this. I felt bad for Scott Bragan, 44, another avid triathlete who joined us for only his third stand-up paddling experience. But Scott was a natural and we quickly fell into a slow but steady rhythm heading upriver, spotting sheephead, trout and the occasional turtle while ducking the occasional hanging branch. The winding river and frequent sandbars make it a technical course, adding to the degree of difficulty. I had never done any upriver distance paddling and found it helped, as in cycling, to fall in single file and take advantage of drafting. Napp is the fittest 55-year-old on the planet, a Wisconsin native who looks at least a decade younger. Having spent his career in sales and training endurance athletes, he also has the gift of gab, along with a lengthy list of fitness certifications, including NASM (his current employer), and Brody Welte’s Paddle Fit. All of which makes Napp a perfect SUP guide. As we maneuvered up the Weeki with our Quickblade paddles and 11-foot-6 NSP soft-top boards, Napp detailed the area’s rich history. We passed the tiered remnants of what was once an amphitheater for water shows. The narrow river, which at times requires some tricky maneuvering to avoid running the boards aground, is Coast Guard navigable. That means there can be small boat traffic, though thankfully none this day. It takes us about two hours to reach the spring head adjacent to Buccaneer Bay. It’s a course Napp usually does alone since most of his customers, new to SUP, prefer either the downriver course or a much shorter upriver trip. The ride home, of course, is much faster. We fly along at a conversational pace, with room to push harder. Napp casually mentions that he’d like to swim the five-mile course. “I could maybe handle that with some training,” I said, figuring the many sandbars would provide breaks and I could float down the river when I got tired. Then I realized Napp wanted to swim upriver. We continued to pass the occasional rope swings dangling from trees. The water can be 15 feet deep or more at points. Unfortunately, the combination of rickety tree ladders and the disregard of the no-alcohol policy on the river has lead to injuries. As we neared the end of the hour-long return trip, Napp apologized that it wasn’t manatee season. He and Pam spot them regularly off their dock in the winter. As if on cue, a young manatee appeared. Like dolphins, manatee seem fascinated by paddleboards, swimming underneath them. By the time we reached Napp’s dock, our “workout” was three hours old. It dawned on me that it was probably my toughest board workout ever, though it sure didn’t seem that way. No, it was just another enjoyable day on The Weeki.